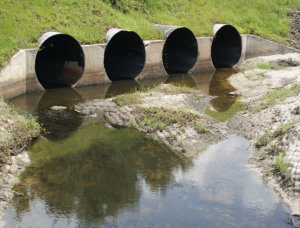 What Is Stormwater Management and Why Is It Important? Written by EEC Environmental on January 31, 2018 . Posted in Blog. Stormwater management is the effort to reduce runoff of rainwater or melted snow into streets, lawns and other sites and the improvement of water quality, according to the United States Environmental Protection Agency (EPA). When stormwater is absorbed into the soil, it is filtered and ultimately replenishes aquifers or flows into streams and rivers. However, when heavy rainwater hits, ground saturated by water creates excess moisture that runs across the surface and into storm sewers and road ditches. This water often carries debris, chemicals, bacteria, eroded soil, and other pollutants, and carries them into streams, rivers, lakes, or wetlands. So, how does stormwater management help? In urban and developed areas, impervious surfaces such as pavement and roofs prevent precipitation from naturally soaking into the ground. Instead, water runs rapidly into storm drains, sewer systems and drainage ditches and can cause flooding, erosion, turbidity (or muddiness), storm and sanitary sewer system overflow, and infrastructure damage. However, stormwater design and “green infrastructure” capture and reuse stormwater to maintain or restore natural hydrologies. 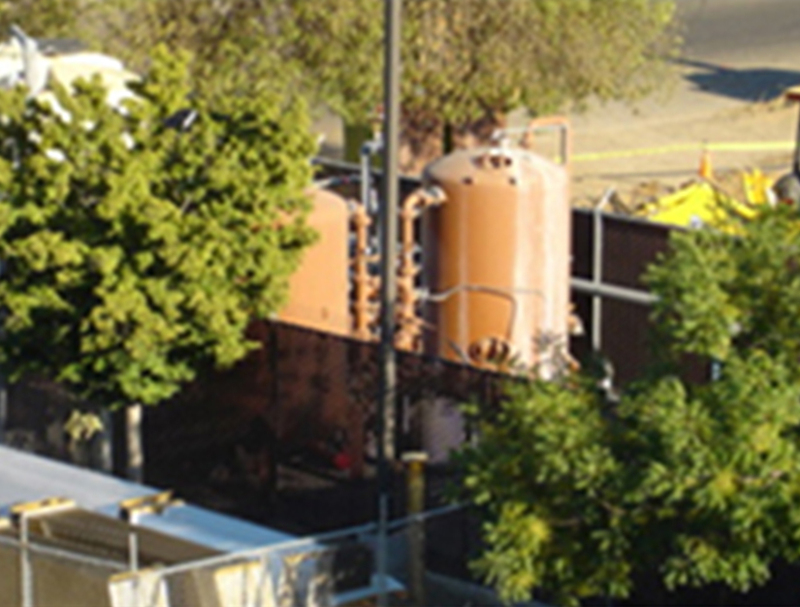 Detaining stormwater and removing pollutants is the primary purpose of stormwater management. Pervious Surfaces that are porous and allow rainfall and snowmelt to soak into the soil, Gray infrastructure, such as culverts, gutters, storm sewers, conventional piped drainage, and Blue/Green infrastructure that protect, restore, or mimic the natural water cycle, all play a part in stormwater management. Educating yourself on where rainwater and snowmelt flow on your property when it doesn’t get absorbed into the ground is a huge first step. Implementing best management practices to reduce runoff and to make sure that it is clean when it leaves your property is the next step. 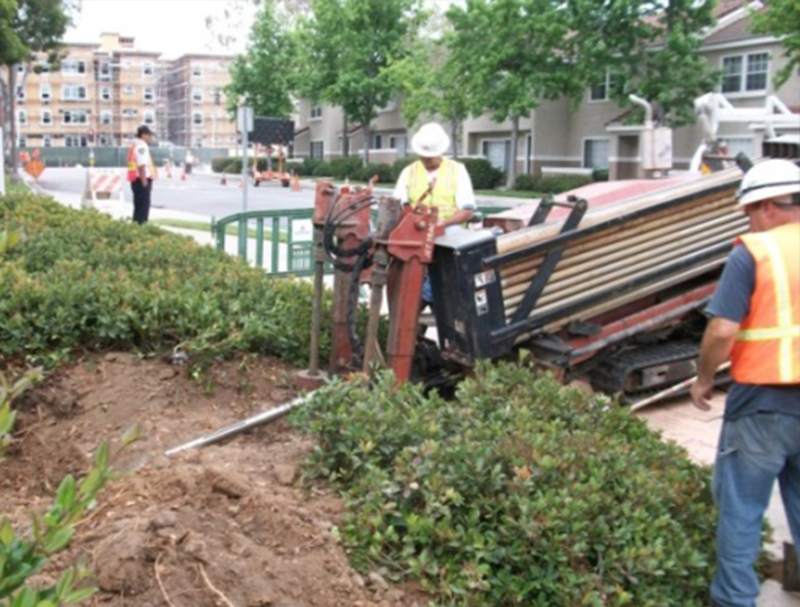 Our staff at EEC Environmental (EEC) has been specializing in stormwater compliance for more than 20 years. EEC can aid anyone looking to improve stormwater management on their property with our experience in developing stormwater pollution prevention plans (SWPPPs), sharing best management practices (BMPs), assisting with design, municipal separate storm and sewer systems (MS4), conducting inspections, and helping clients with Level 1 & 2 ERAs compliance. Our staff has assisted both MS4 programs and industrial facilities with compliance issues as part of these services. 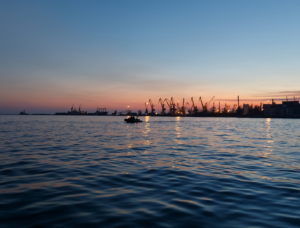 EEC develops Local Implementation Plans (LIPs) that include program management and the inventory, prioritization, and inspection of industrial, commercial, and municipal facilities. EEC’s Stormwater/National Pollutant Discharge Elimination System (NPDES) group has developed and implemented municipal, industrial, commercial, and construction programs to achieve full compliance with federal, state, and local stormwater regulations. Successful implementation and management of a stormwater program demand a clear understanding of the NPDES permit requirements and solid teamwork between staff and consultants/contractors. 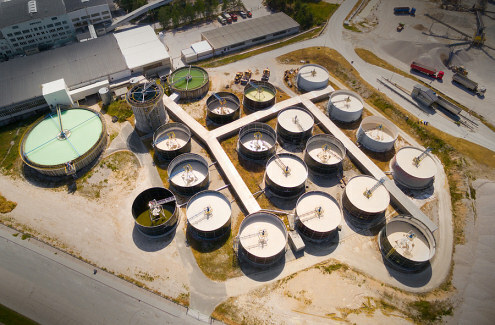 EEC stands poised to support any city or industrial facility with their stormwater compliance needs, having supported other cities and industrial facilities with the development and implementation of their stormwater/NPDES programs, as well as having developed multiple LIPs. Please click here if you need assistance with stormwater concerns.